LAS VEGAS — When it comes to future mobility, autonomous vehicles typically take the spotlight, as global automakers and tech companies compete to bring self-driving cars into the mainstream. Further stretching the limits of transport, another mobility technology once considered the realm of science fiction is inching closer to reality: flying cars. A number of flying car prototypes and designs will be featured at the Consumer Electronics Show in Las Vegas that kicks off on Tuesday. Airborne vehicles were also a hot topic of interest at the CES “Future Mobility” track sessions held Monday prior to the show’s official launch. At CES 2019, automakers and startups will provide the public with a glimpse of what flying cars will look and feel like, with most like car-drone hybrids. 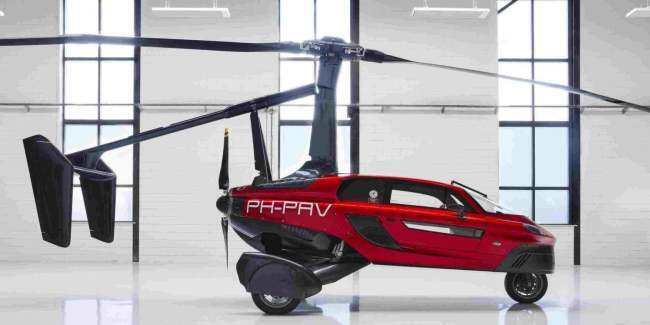 One such firm is Netherlands-based Pal-V, which is offering CES visitors a chance to experience a “virtual flight” in what they claim is the world’s first-ever commercial flying car — the Pal-V Liberty. According to the Dutch company, the vehicle passed a drive and flight test program in 2012 to prove that the Pal-V Liberty is technically feasible and certifiable within the existing regulatory framework. The firm is currently receiving reservations for the Pal-V Liberty limited editions. Similarly, NFT, an aviation technology startup based in Israel and California, is developing a “fly and drive” vehicle with electric propulsion and an extended range generator, that can take off and land vertically. It is also featuring a booth at the CES 2019. In building its flying car model, NFT is designing both hardware and software solutions while partnering with original equipment manufacturers to mass produce its vehicles at commercial scale. Globally, many big and small companies are pursuing the development of “flying cars.” They include global ridesharing giant Uber Technologies, aircraft makers Airbus and Boeing as well as China’s Terrafugia. Opener and KittyHawk are also high-profile flying car startups backed by Google co-founder Larry Page. But what’s the difference between a helicopter and a flying car? The biggest differences are that airborne cars are quieter and would not require a heliport to land, making them far more usable in real life. “The key to viability is actually operating at a real scale, and making (flying cars) accessible and affordable to anyone. Or else it won’t relieve any kind of congestion (on the roads, as is hoped),” Prevot said during a CES-hosted discussion Monday on future mobility. 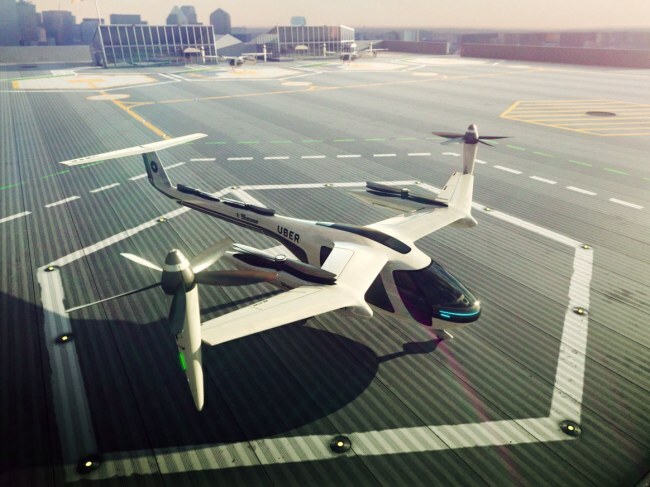 The US ride-hailing giant is currently pursuing a “flying car” project dubbed Elevate, with aims to launch a pilot electric air taxi service by 2020 and begin commercial operations in 2023. While the relevant technology may be nearing completion, building the appropriate ecosystem for flying cars will take some time as a system of uninterrupted communication between aviation regulators, drivers and sensors on airborne vehicles must be achieved before anything can go commercial, according to the Uber executive. “It’s a large network on which all these vehicles are operating. It’s a very complex orchestration act to make sure that the vehicles and pilot are all in the right places, charging stations are adequately located, and riders matched properly,” he said. “When we think about the paradigm of aircraft control, cities aren’t that used to seeing commercial operations on a scale like companies like Uber is expecting,” Rottblatt said. For instance, if a flying car is traveling between 60 and 600 meters above ground, this could have implications for how well radar can keep track of all vehicles in the air. Autonomous data sharing is another consideration, as the entry of flying cars into the aerospace will create an unprecedented complexity in air traffic that must be carefully managed, he said. “For passenger drones and flying cars to be widely accepted, they would likely have to be both ubiquitous and as versatile as an automobile — people should be able to fly the vehicle to a store or take it to the beach, and it should be able to cover longer distances safely,” it said.